We had a wonderful day touring with Anne. This trip was perfect! When traveling, we enjoy private day tours to have a day of low stress, personally customized experience by a local guide. The information and perspective is wonderful and adds so much to the visit. Anne was personable and flexible. This was a fantastic day that my wife and I will remember forever. Anne is knowledgeable, attentive and on-time. She has a wide range of information that she is quick to share. She's also on time. A good guide. Anne was very helpful and informative. We enjoyed our tour so much! Thank you Anne M. for a wonderful experience touring Blenheim, the Cotswolds and Oxford! We really appreciate you making the most of the limited time we had and for your depth of knowledge! We're hoping to have an opportunity to spend more time with you in the future to soak more of the wonderful information you have to share! Anne Martis is an exemplary guide and is completely flexible, listening to her customers and doing everything she can to make their tour the best possible experience for them personally. TOUR GUIDE RESPONSE: Thanks, Anne. Our guide had excellent knowledge of the campus and the history of England and Oxford in general. She helped us understand a lot of what we were seeing from the outside and the inside of the churches and buildings. Please be aware that this is a walking tour so wear you comfortable shoes. Anne is a great, fast walker and you will cover a lot of ground. Anne was fantastic! Her knowledge, story-telling and sense of humor made the visit an excellent one. Highly recommend! We had a wonderful day in Oxford with Anne! Having a guide through the town and buildings made our visit so much more informative and enjoyable. Anne is very knowledgeable, pointing out locations and providing historical context to bring our walk to life. She was also mindful of my particular dietary needs and sought out lunch options we might enjoy at the conclusion of our time together. I will never forget my day in Oxford and hope to return for another visit in future travels! Thank you, Anne! Anne is a very pleasant and knowledgeable guide. This tour exceeded our expectations and covered a lot of historical and geographic ground over a full 9 hours, door to door. We would highly recommend. Anne was very helpful with our family research that we did in Aston . Did a great tour of the Cotswolds. She even took us to the Eagle and Child pub so we could get the CS Lewis appropriate feel. I think she did this pretty much on her own time. Did a great job. No private comments. Anne customized the tour for us to meet a wide range of interests of our small group. She is thoroughly knowledgeable, personable, and professional. Everyone thoroughly enjoyed themselves and saw so much more of Oxford than we could have managed on our own. Worth every penny. Thank you, Anne! The tour to Bath was excellent! Anne was extremely knowledgeable and patient with all of our questions. Mother-in-Law less Ambulatory than expected and Anne gladly pushed wheelchair and provided insight into exhibits. Adapted tour to include short stop in Bampton which fit walking capabilities much better. Extremely satisfied! Anne is a fantastic guide. We spent two FSU's touring Avebury and the Cotswolds and she was indefatigable and a wealth of information. An excellent experience. Anne is a very knowledgeable and congenial guide. She was able to adjust the tour to our experience and interests seamlessly. And her appreciation for the beauty of Oxford is contagious. Highly recommended. 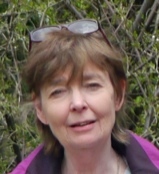 Anne is very engaging and she has an extensive knowledge of the Cotswold's history, geology, botany, and politics. She is a very good driver and she shared some of her special places to visit and experience. She tried very hard to find the things that interested us. We had a great time. Anne was very knowledgeable about the areas history and gave us a wonderful tour of Blenheim Palace, Churchill's burial site, and the Cotswold area. Anne went out of her way to try to customize our experience to see and do all that we requested. I loved that she took us on the back roads to see sites that you wouldn't see or experience from a tour bus. TOUR GUIDE RESPONSE: Glad you enjoyed the tour and thanks for your kind review. I recommend Anne as a guide for the Cotswolds; she was very engaging and knowledgeable about the area as well as English history. She went out of her way to make sure we had a car that fit our whole group for the 8+ hour tour. She also spent an extra couple of hours with us so we could see everything on our list. TOUR GUIDE RESPONSE: Thanks so much. I am pleased that you enjoyed your taste of Blenheim and the Cotswolds. The students enjoyed their trip but the additional expenses for entrance fees after the guide had been paid for were thought to be a little steep and they were quite surprised that they were not included in the original fee. TOUR GUIDE RESPONSE: I am very pleased that your clients enjoyed the tour, they are a lovely mother and daughter. I'm sorry to hear that they were surprised that the entrance fees were not included but it was made clear in the tour description. Anne was excellent. She showed up right on time with a large comfortable car. She took us everywhere we wanted. She was a font of interesting knowledge regarding what we were seeing. We would definitely recommend her without reservation. TOUR GUIDE RESPONSE: Thank you very much for your kind feedback. I hope you enjoy the rest of your holiday in Britain and have a good journey home. Very knowledgeable and accommodating for our family group. 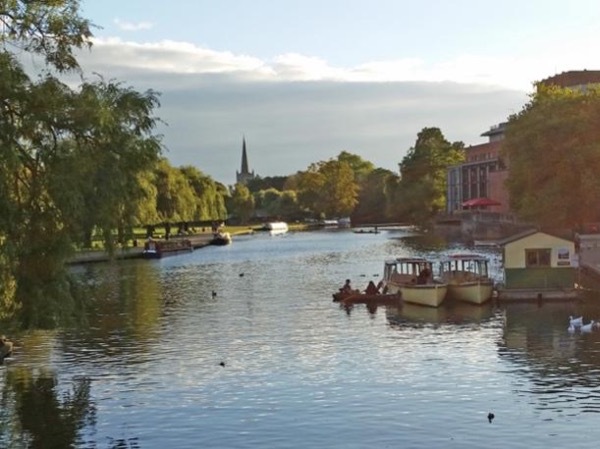 Anne was very pleasant and accommodating in giving us a tour of charming Cotswold Villages and Stratford Upon Avon. She was conscientious about providing a tour that would meet our interests. TOUR GUIDE RESPONSE: Thanks, I really enjoyed meeting you all, my first clients from Hawaii! My wife and I, we had a splendid tour . Anne is an excellent guide and driver. We will certainly make an appeal to you in the future. Good guidance and professionalism. Ann was wonderful. We did not think it possible but she got us through the list of places we wanted to see in one day while making sure we were comfortable, happy and did not feel hurried. She is also lovely to be with. Anne was an exceptional guide. She made special arrangements for us to see the Upper Slaughter Manor House. We thought the highlight of our trip to London would be the Chelsea Flower Show. Instead, it was Oxford, the Cotswolds and, most of all, meeting Anne and having a fabulous tour with her as our guide. Thank you. My wife and I enjoyed each and every minute of our tour with Anne. She was knowledgeable and highly prepared. We had so much fun that we would like to do the tour again with Anne. It was all I had hoped for and more. Thank you Anne! TOUR GUIDE RESPONSE: Pleased to hear that you enjoyed it so much. All the very best, Anne. Anne organized a special driving tour of the South Cotswolds for us that was just a delight. It was beautiful and Anne's commentary of the history of the area really helped us to understand the area. We highly recommend Anne as the best tour guide that we have ever had. TOUR GUIDE RESPONSE: Thank you so much. Anne. Anne's tour of Oxford was wonderful! TOUR GUIDE RESPONSE: Thanks so much Teresa. TOUR GUIDE RESPONSE: Thank you, that is interesting, I did not think you would want to know about me! TOUR GUIDE RESPONSE: It was a pleasure. Anne is everything you could hope for in a personal guide. She is knowledgeable, punctual, flexible, and an excellent driver on those single track roads and busy roundabouts! Plus she is genuinely a nice person and pleasant to be around, which we were for four busy days that she orchestrated beautifully. If I could give 6 stars, I would. Ann was an excellent guide. I learned a lot and I especially enjoyed the little inside stories she told about Oxford and some of its graduates. TOUR GUIDE RESPONSE: It was a pleasure to show you Oxford. I hope the trip to your old school went well and brought back many happy memories. Cotswolds trip took us through a beautiful area and we found this trip to be the easiest way to see this area in detail. TOUR GUIDE RESPONSE: Dear Hilda, I am pleased that you enjoyed the beautiful Cotswold countryside on our driving tour. Thank you. Anne was very friendly well versed. She carefully explained the college system, she knew the back streets and took the time to show us places to visit after our tour as well as restaurant and shopping choices. It was graduation day at several of the colleges which made for a crowded city but Anne guided us around like a true professional. We even had an opportunity to visit the Shelley Memorial and a quick stop at the Turf Tavern. I would highly recommend this tour to all first time visitors to Oxford. TOUR GUIDE RESPONSE: Thank you very much for your kind review, I'm very pleased that you enjoyed the tour. Great tour with Anne yesterday. Punctual, polite, patient, passionate. Thank you Anne! TOUR GUIDE RESPONSE: Thank you very much, I really enjoyed the day with you all. Anne expertly guided us on a custom tour over the course of three days, encompassing the Cotswolds, Blenheim Palace, Stonehenge, Avebury, Salisbury and Oxford. Her knowledge of these areas, attractions and their history added immeasurably to our experence. And, she's good company to boot. TOUR GUIDE RESPONSE: Thank you very much. I'm glad you enjoyed our time together and have lots of good memories. Anne was so prompt on picking us up at the hotel. 5 stars GREAT knowledge of history. 5 stars She could answer any question we asked of her. 5 stars Made all the history so interesting. 5 stars Good driver and very cautious. 5 stars Anne was so helpful. 5 stars She carried our bags, got us all the information we needed. 5 stars She recommended Great restaurants, 5 stars I can recommend Anne , she is great. TOUR GUIDE RESPONSE: Hello Karol Thank you for your fantastic rating, it is very much appreciated. I've been thinking of you relaxing at home and looking across the valley to watch the changing colours during the evening sunset. Lovely, helpful, knowledgable, and interesting guide! Anne made Oxford come alive for us! Great day! Thanks, Anne! TOUR GUIDE RESPONSE: Thanks very much, we had a good tour together. We had a fun tour with Anne to Blenheim, the Cotswolds, and a quick drive through of Stratford-upon-Avon. She kindly drove us to our next destination, Birmingham, from there. Anne knows the Cotswold area very well. We highly recommend her! TOUR GUIDE RESPONSE: Thank you very much. Hope you both enjoyed Birmingham as well. No one could have done a better job showing Oxford at its most interesting. My guests for whom I'd booked the tour, varied in age, education and interests. Anne managed to arrange their tour so that each felt it was especially tailored for them. They all came home buzzing with excitement and, what was most rewarding for me, a burning wish to learn more. TOUR GUIDE RESPONSE: Thanks for your kind comments. I hope your guests enjoy the rest of their time in the UK. Trying to see both cities in one day requires four hours in the car, and it was a Sunday, both cities PACKED with tourists. TOUR GUIDE RESPONSE: Thanks Ginny, I'm pleased you enjoyed the trip despite the long drive and the number of tourists in each city. The drive time has always been in the description and itinerary but I added a comment saying the cities are busy with tourists on a summer weekend. Anne was a wonderful guide. She would research questions we had Re: historical events and People. She took us to several different gardens sites, castles, some manors and churches in the Cotswolds, Oxford, and Bath. She has a wealth of knowledge in history and horticulture and Interesting tid bits that makes a site more meaningful. Another Anne M.
TOUR GUIDE RESPONSE: Thank you very much Anne. I enjoyed spending time with you and Alec and hearing your stories. Anne was a lovely guide for our group of four, which included my elderly father. She was patient, flexible, deeply knowledgeable, and very considerate of our group's needs. We could not have been happier! I am filling this out as Anne took my 15 yr old daughter and her friend on a customized day trip. She was thoughtful about what their interests are and was flexible in making the itinerary.. Isabelle and Grace thoroughly enjoyed Anne's company. She was on time and very knowledgable about the area. Thank you Anne . TOUR GUIDE RESPONSE: Thank you for your kind rating. Hope the girls enjoy their last few days in England. Anne was very knowledgeable and flexible. I was easy to communicate with her before we arrived. I would definitely recommend her. TOUR GUIDE RESPONSE: Hello Julie, Thanks very much for your kind rating. All the best, Anne. Very nice and informative, 5 stars. TOUR GUIDE RESPONSE: Thank you, have a good trip home. Anne did a wonderful job, exceeded our expectations. She is quite knowledgeable about the area. TOUR GUIDE RESPONSE: Thank you Lori. Hope you all recovered from jet lag and enjoyed London during the birthday festivities. TOUR GUIDE RESPONSE: Thanks a lot. TOUR GUIDE RESPONSE: Thank you very much for your kind review. Since we are limited in the number of stars to award, we choose to make them all gold stars. Outstanding service. Wonderful lady. TOUR GUIDE RESPONSE: Thank you very much for your kind comments and I'm delighted that you enjoyed your tour. Anne was very accommodating in splitting our tour between Stratford and Oxford. With the limited time we had, Anne managed to show us all the historical highlights of both towns in an interesting and entertaining way. The teenagers in our group were also very interested in the Harry Potter aspects of the tour. Anne was the perfect guide for our group. TOUR GUIDE RESPONSE: Thanks very much. Hope you enjoyed your few days in London. We had a great tour with Anne. The communication and arrangements were very smooth. Anne answered our questions very promptly. The tour itself is very extensive. Anne has very deep knowledge of Oxford and this adds a lot of value. This tour is a great way to get an overview of the city and the history. TOUR GUIDE RESPONSE: Thanks very much. Anne did an excellent job showing our small group (three of us) major sites around Oxford. I had requested that she especially focus on sites of importance to the life of C. S. Lewis (since I am developing a course on C. S. Lewis) and she went above and beyond what I hoped for on this tour. Anne was a pleasant and thoughtful tour guide and all three of us were very pleased with how the afternoon went. TOUR GUIDE RESPONSE: Thanks so much. Anne has vast knowledge of the Cotswolds and she was so accommodating! My mom, sister, and I had a wonderful day trip. Thanks Anne! TOUR GUIDE RESPONSE: Thanks Dave and Janice, I'm always a bit nervous taking Brits, as I can't pull the wool over their eyes! Despite the weather we had a wonderful tour of Oxford and Stratford on Avon! Anne was extremely knowledgeable and made the day very educational and fun! TOUR GUIDE RESPONSE: Thanks so much. Come back again to see more of the country. Anne is kind, well informed and very funny yet very very professional! We enjoyed her so much that we offered to take hereto lunch during our tour. We remember a man challenging her knowledge about a "tiny piece of glass" in a Church window and she knew a bit more than he! Anne is great and we hope to see her again. My daughter lost an iPod on the train and Anne was kind enough to contact the train company for us. Thanks, Great Tour!!! TOUR GUIDE RESPONSE: Thank you so much. I hope Rachael gets a place in the university of her choice in due course. Anne was a fabulous guide; very aware of what we wanted out of the tour, and thoroughly knowledgeable. She has a delightful sense of humor. We thoroughly enjoyed our tour and will highly recommend Anne to anyone who wants an introduction to Oxford. Excellent guide. Excellent service. Highly recommended. Excellent guide. Very diligent. Highly recommended. Rather than a standard tour I hired Anne to take me to five villages west of Oxford where my ancestors had lived. Some of these areas were a bit outside her usual circuits but she was engaged in my quest and reached out to people we met to help me make contacts. She is easy to talk to, has broad knowledge, and is a fine driver and navigator. I was a bit hesitant to book given the expense but now feel it was a very worthwhile investment. Anne went beyond our requirements, she was positive, had a wealth of knowledge and was accommodating when we made suggestions. TOUR GUIDE RESPONSE: Thanks so much for your kind comments. Ann is an exceedingly knowledgeable, conscientious and enjoyable tour guide. Her guided, day-long tour of Statford Upon Avon, the Cotswolds and Oxford for our party of 3 exceeded everyone's expectations. If we ever are within her areas of geographic expertise again we defintely will seek her out and we heartily commend her services to anyone desiring to be guided by a truly professional local guide. TOUR GUIDE RESPONSE: Thank you so much for your wonderful rating. I'm so pleased that you enjoyed the day. Tour was interesting and informative. Anne took the trouble to ask about my interests and incorporated them into the tour. I'd definitely recommend her. TOUR GUIDE RESPONSE: Thanks very much, it's good to know you enjoyed it so much. Anne did a wonderful job on our tour. Picked us up, took us through the English countryside, Blenheim Palace and through the town and university of Oxford. She also helped us find a tasty and economical spot to stop for lunch! Would recommend her to others as well, and we very much enjoyed discussing the political differences within our countries, English history as it related to the things we were seeing, etc.. She was great. Anne was a wonderful guide for Oxford. She picked up on each person's interests and tailored the tour to them. We were a 3 generation family who all enjoyed our visit and learned so much. TOUR GUIDE RESPONSE: Thanks so much for you kind comments. My husband and I booked 3 days of tours with Anne. They were everything we had hoped for in providing historical context and local lore as we explored each beautiful area. Anne was very flexible about the schedule, and tailored the days to our interests and desire to walk. We entered lovely field paths that we never would have found on our own, and learned the names of local wildflowers and some geology along the way. Anne's stories have whetted my appetite to read more English history! Thanks, Anne! TOUR GUIDE RESPONSE: Thanks, it was great to walk with you both and tell you about the Cotswold, and also interesting for me to learn a little about you. My husband and I loved this tour. Seeing the several related sites in one day really drove home the significance and interconnectedness of these incredible monuments. The expansive sites are well-maintained, and help to provide the appropriate atmosphere and enormous scale of these man-made creations. Great weather didn't hurt either. Again, Anne was so informative in providing historical context, and good pacing throughout a long day that did not feel rushed. TOUR GUIDE RESPONSE: Thanks for your comments. Seeing the prehistoric sites around Avebury as well as Stonehenge shows the magnitude of activity in the area almost 5000 years ago. Because we booked 3 days with Anne, we changed the order and content of this tour which became our last wonderful day. We went to Stratford-on-Avon, Kenilworth Castle, the Slaughters and Bourton-on-the-Water. Shakespeare fans will enjoy Stratford, Elizabeth I fans and castle romantics will enjoy Kenilworth, and those who favor charming Cotswold villages and countryside will enjoy walking the Slaughters and Bourton which were a mellow way to end our trip. Thanks, Anne, for such memorable journeys! TOUR GUIDE RESPONSE: Again, thank you for your kind comments. We had a lovely three days exploring central England and saw lots of different places, and I really enjoyed your company. Anne is great. She is super knowledgable about the history of Oxford and she offers up a lot of practical information that was helpful to me and my 17 year old son who is considering his education at Oxford. TOUR GUIDE RESPONSE: Brian, thank you for your kind comments. I hope Chris was impressed with Oxford and gets a place at the university of his choice. Great tour! Anne did a fine job of driving us around and providing historical info concerning each area. We were absolutely delighted! TOUR GUIDE RESPONSE: Thanks a lot. Hope you enjoyed the rest of your time in England and the trip back home. We had an absolutely wonderful day on this tour. Anne was very informative and accommodating to our desires and we thoroughly enjoyed her company and knowledgeable commentary on the sites we visited. One of the best days on our recently completed three week trip to Great Britain. Highly recommended for anyone who wants to get an in depth feel for this area and its history. Anne was a joy to spend the day with! My husband, myself and adult son had a full day excursion to Blenheim and Oxford. She was full of information, not only on the car ride, but at the palace and in the town of Oxford. She took us on a little side tour of WC's grave and an adorable historic Inn for lunch. She was energetic, friendly, personal, and attentive to our questions. She also picked us up right at our lodging! I would recommend Anne's tour to anyone and hope to get back for another! Anne was a terrific guide... asked us multiple times what interested us and adjusted the itinerary to include several side trips that delighted us. She's very knowledgeable and added insightful commentary along the way. We highly recommend Anne and this tour. Anne was amazing. Very knowledgable about Oxford and Blenheim Palace. When we expressed an interest in learning a bit more about the Oxford Rowing Team and she took the extra time to make sure we had an opportunity to see the boat storage areas and talk with members of the team. My Grandson is still talking about the time she spent with him answering questions and providing additional insight into the tour and area. We can't say enough about her there's not enough room but we do highly recommend her. TOUR GUIDE RESPONSE: Beth, Thank you so much for your lovely comments. Anne was very knowledgeable and took the time to research all of the areas we visited. TOUR GUIDE RESPONSE: Thanks, hope you enjoyed the rest of your time in the UK. If I thought about it for days, I couldn't come up with a single thing that Anne could have done better for us. Her knowledge of the Cotswold seemed infinite, and she is a friendly and kind person. She made it clear that the content and pace of the tour were entirely up to us, and we spent a wonderful day with her. It was the highlight of our ten day stay in England. We are already making plans for a second visit next year, and we will probably spend the majority of our next visit in the Cotswold. TOUR GUIDE RESPONSE: Thanks, I'm really pleased you had a good time. Hope you enjoyed the next day in ClueQuest. Delightful day. Anne was personable, knowledgable, and accommodating. I would highly recommend her! Ann was informative, knowledgeable and a delight to be with! I think we may have skewed her plans a bit when we did not take advantage of some side tours, but she rallied well and found other things for us to see. She seemed like an old friend by the end of the tour. It was the highlight of our trip. We would recommend her to anyone!! Great tour which we very much enjoyed. Anne was great to be with and she knows Oxford and it's history. We could not have had a better tour!!! Anne is lovely and so willing to accommodate our needs. We recommend this tour and this tour guide. TOUR GUIDE RESPONSE: Thank you, it was a pleasure to meet you.